Their rubber compound and tread design are two big aspects that make them different from summer and all-year tyres.They work better in lower temperatures, regardless of wet or dry weather, and last long where other types of tyre will wear quickly. 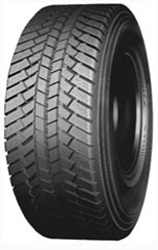 These tyres will give you the best grip and performance in these conditions and these tyres can often be a legal requirement in some countries. Don’t miss out on Infinity’s excellent INF-059 tyres.